With cloud technologies becoming increasingly prevalent in the technology and information industry and Microsoft’s latest offerings Windows 10 and Microsoft Office 2016 integrating cloud functionality, more and more charities are developing an understanding of the file storage solution and benefiting from cloud services. 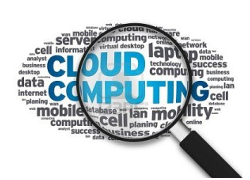 The Guardian predicts that within two years, all services will be cloud-based. It’s time that charities start taking advantage of the low-cost solution that was developed to aid people share information with ease, collaborate in a “virtual office” and keep your files safe from data security threats and data losses. Cost Effective: Cloud-based solutions are free or low cost to access such as the built in SkyDrive when you install Windows 10 or Microsoft Office 2016. Collaboration: Availing of cloud services promotes collaboration and connectivity between you, your employees and colleagues and your donors. For example, you can send a link to a document in your SkyDrive and give multiple users the authority to edit and re-save the file. Security: The core reason why many organisations are taking advantage of cloud technologies is due to data being protected from threat of data threats or losses. Cloud users can rest safe in the knowledge that if they lose their USB or laptop, their documents will still be accessible via cloud support. This point is especially relevant for charities with sensitive financial and personal information about donors and the people they help. Gareth Jones of Civil Society Media said in the Charity IT survey: “The most hyped technology of recent years is of course the cloud, and this year’s survey provides a clear indication that charities are continuing to get on board, with more than a quarter now using some form of software-as-a-service”. The cloud can help smaller charities work in a more effective and efficient way. Your charity can avail of cloud services at no extra cost if you have Windows 10 or Microsoft Office 2016. Contact our licensing experts today to get in on the hype!